Dr. Backus is board certified by the American College of Preventative Medicine in Occupational Medicine and a Fellow of the American College of Occupational Medicine. He worked for 9 years as a chemical engineer after graduating from WPI in 1980. He graduated from Dartmouth Medical School with honors in 1993 after he was elected to the AOA, the National Medical Honor Society. He completed a commitment to the US Army reaching the rank of Major in the Medical Corp and completed a Masters Degree in Public Health (MPH) from the Harvard School of Public Health as part of his Harvard Occupational Medicine Residency. Dr. Backus worked for Occupational Health & Rehabilitation in South Burlington and Barre, Vermont from 1999 until 2002. 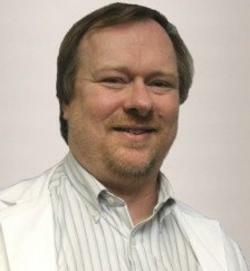 In 2003 he began a position as the Medical Director for Northwestern Occupational Health (NOH) in St. Albans, VT that he continued for 10 years the last few of which included the Northwestern Walk-in Care Center in Georgia, VT. In the first year at NOH he was contracted to a start up company name Vermont Occupational and Immediate Care in South Burlington but before it closed in less than a year he began a the private practice at Occupational Consultations, Inc. (OCI) 1+ days per week while he continued at NOH. In February of 2012 he left his medical director position at NOH to work full time for his private practice. Dr. Verne Backus provides a variety of services at Occupational Consultations, Inc. in Shelburne, VT. with the primary service being Independent Medical Examinations (IMEs). There are limited treatment options for specific cases in Workers' Compensation. Consultatation services are also available for clients on an hourly basis. Committed to providing independent expert opinions on a fee for service basis. The office is located in the main entrance of the Bluewater Center Office Building at 145 Pine Haven Shores Road. This road is located off Shelburne Road (Route 7) 2 miles south of the I-189 interchange. For Suite 1101, enter main entrance left front. Walk straight past the reception desk and turn left at the end of the hall, office is on the right.